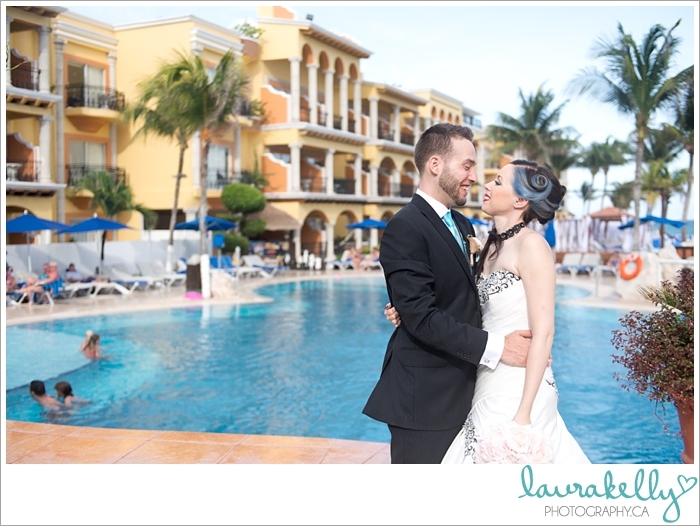 Every morning that I wake up in a new place...I think about how lucky I am that my job allows me to travel. 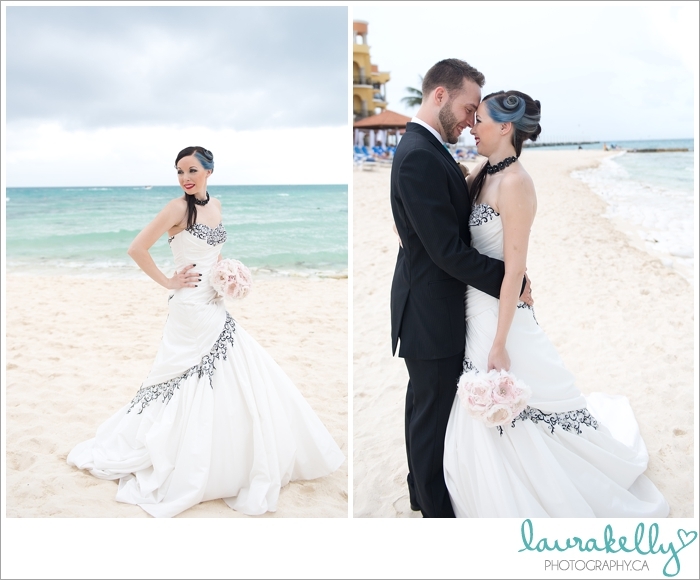 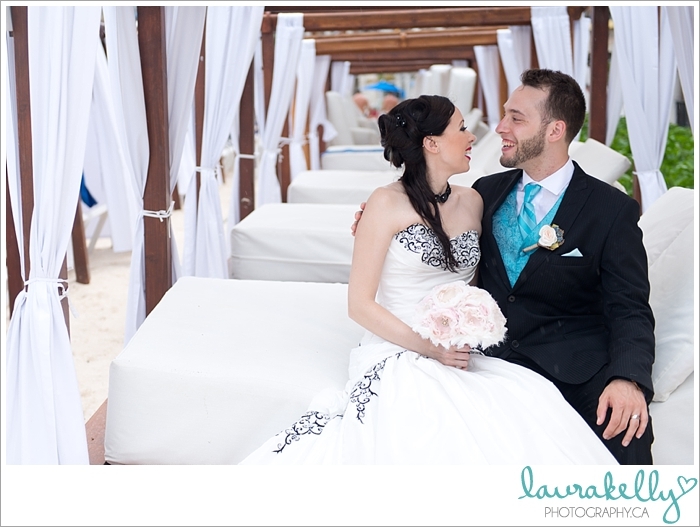 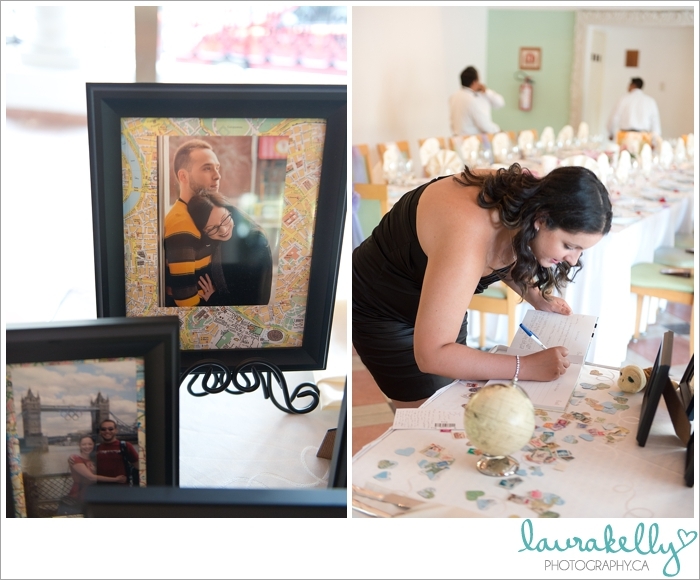 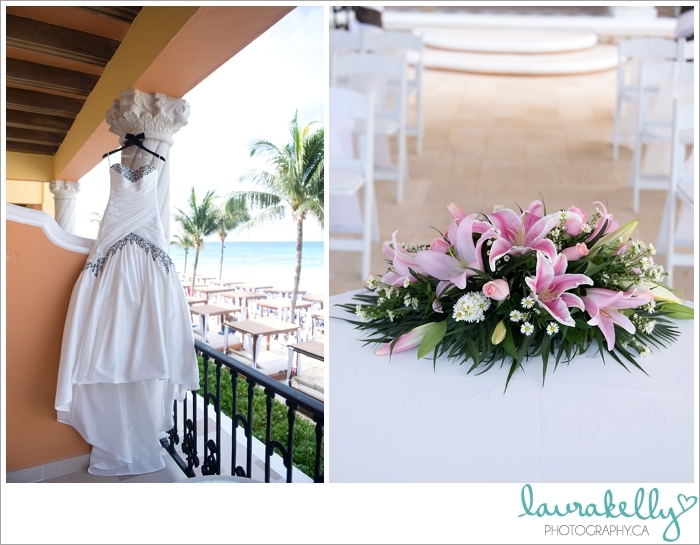 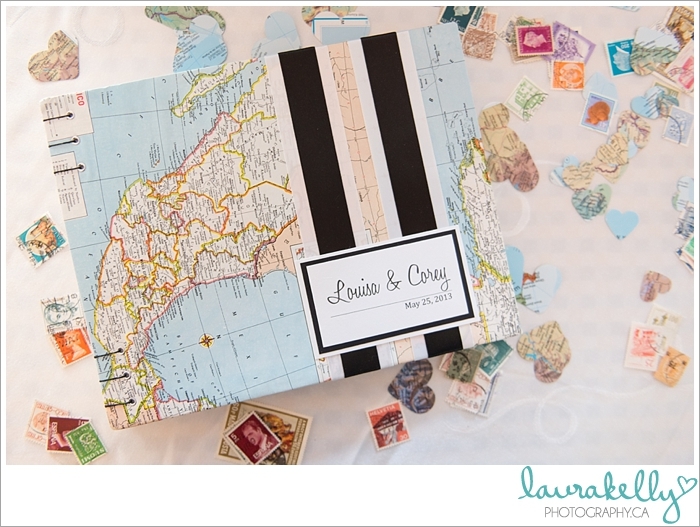 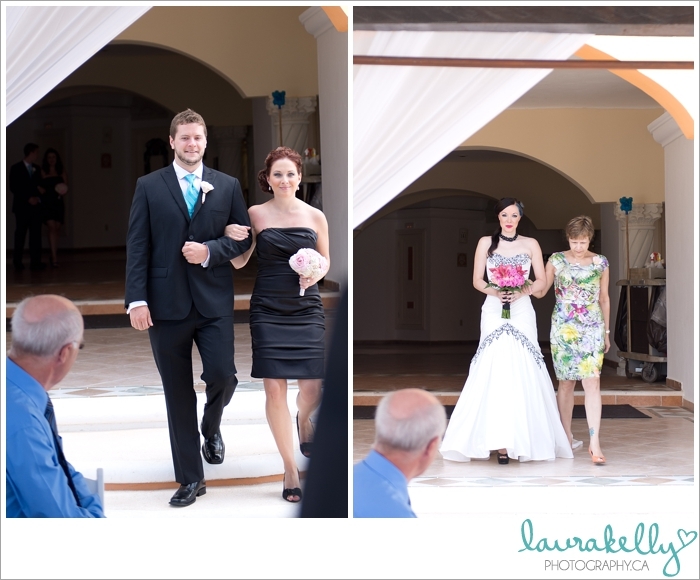 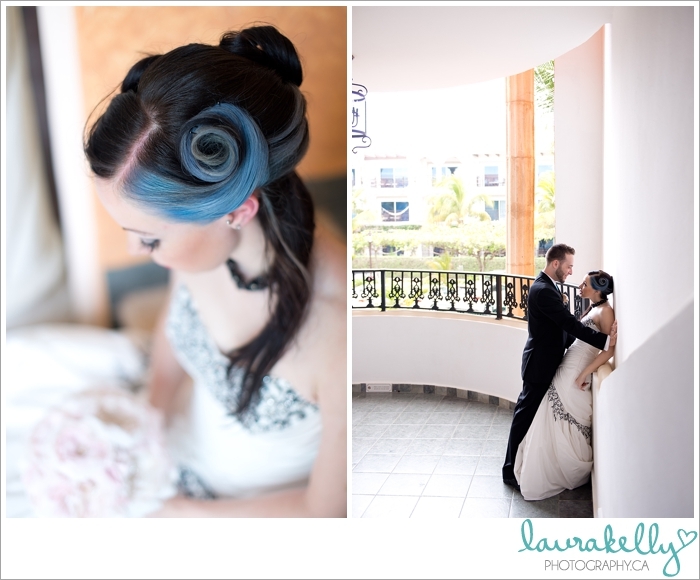 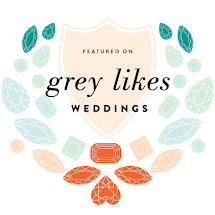 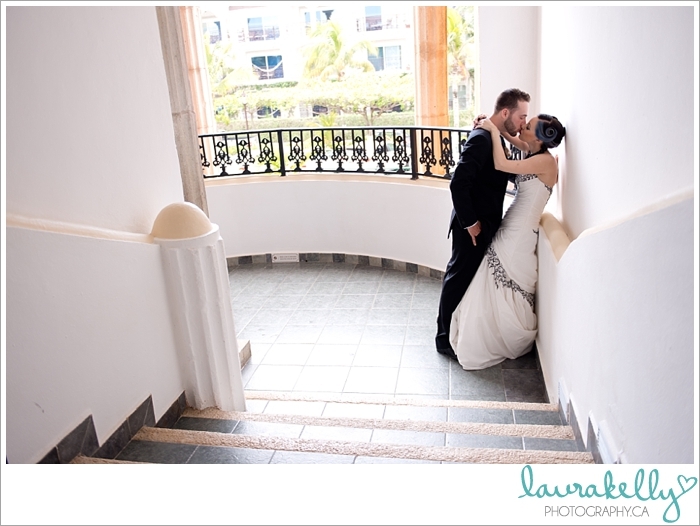 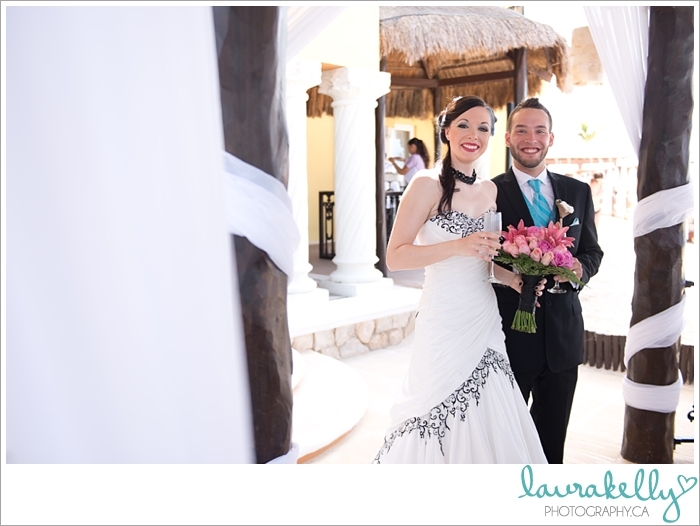 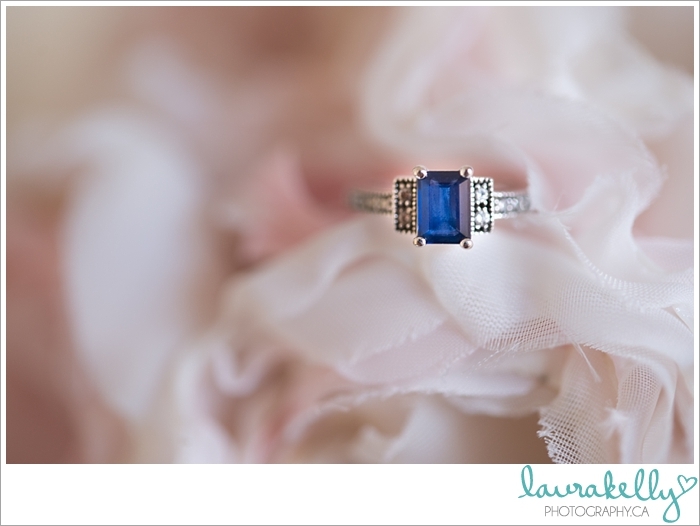 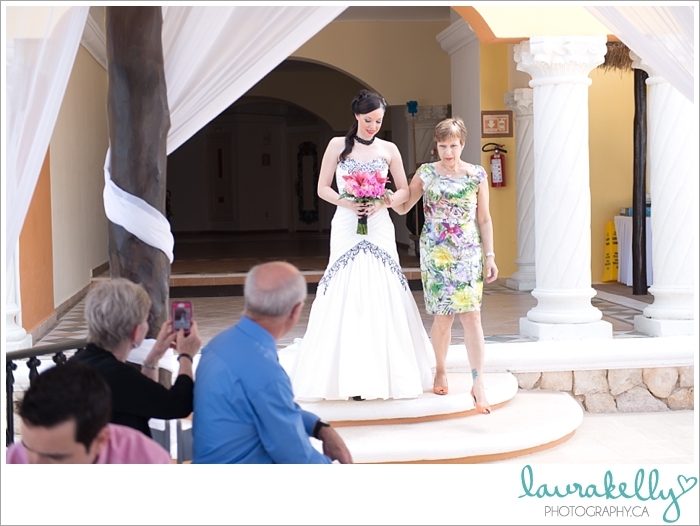 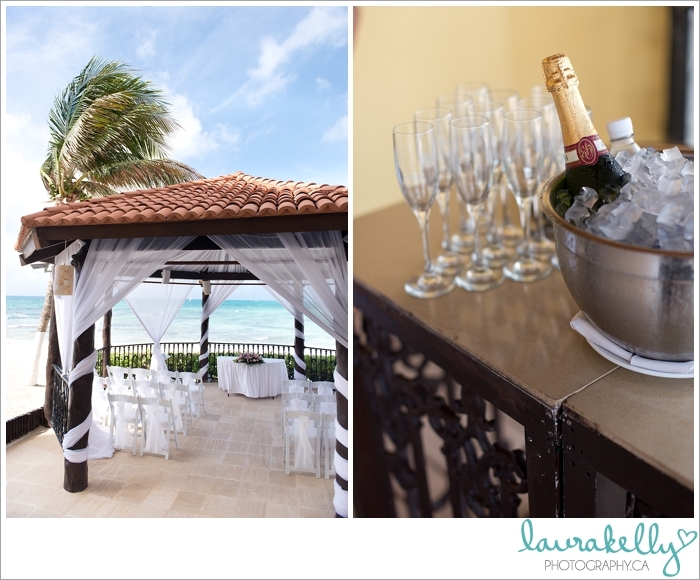 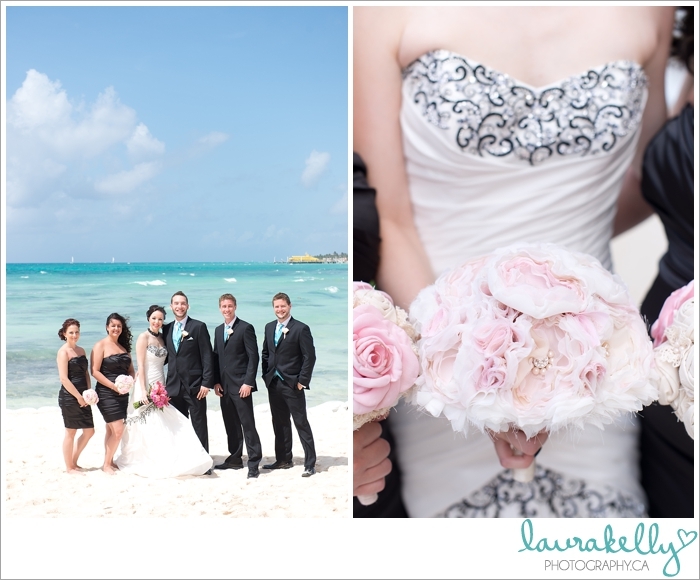 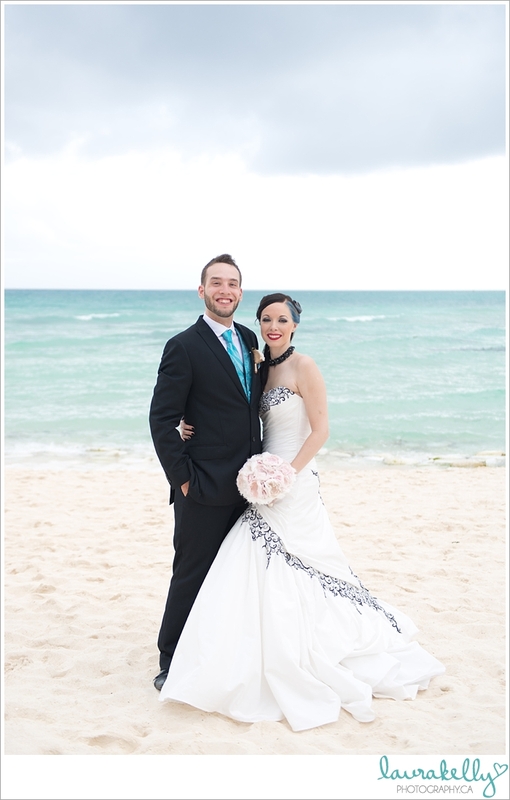 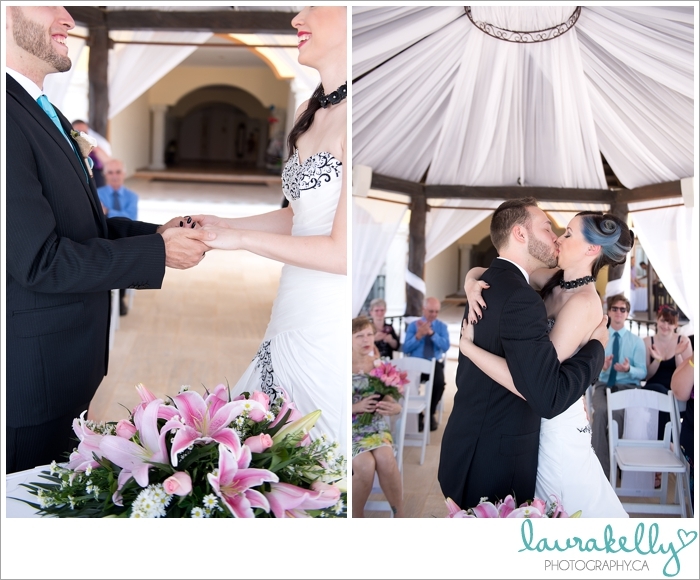 And getting to shoot Louisa & Corey's wedding in Mexico definitely reminded me of that. 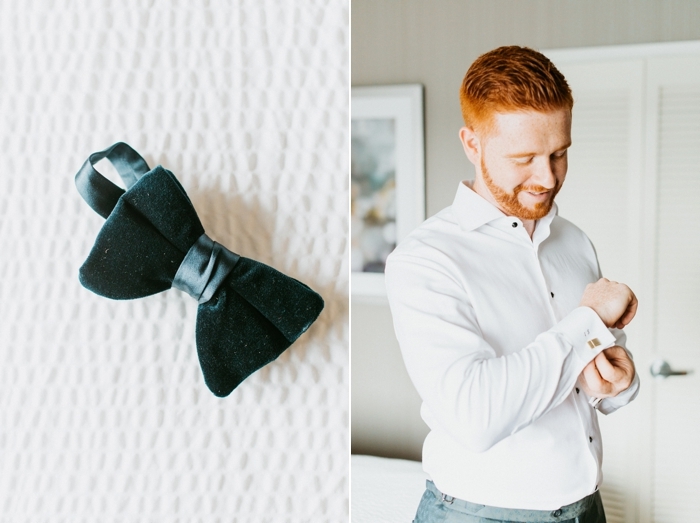 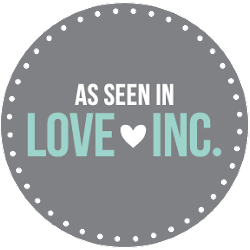 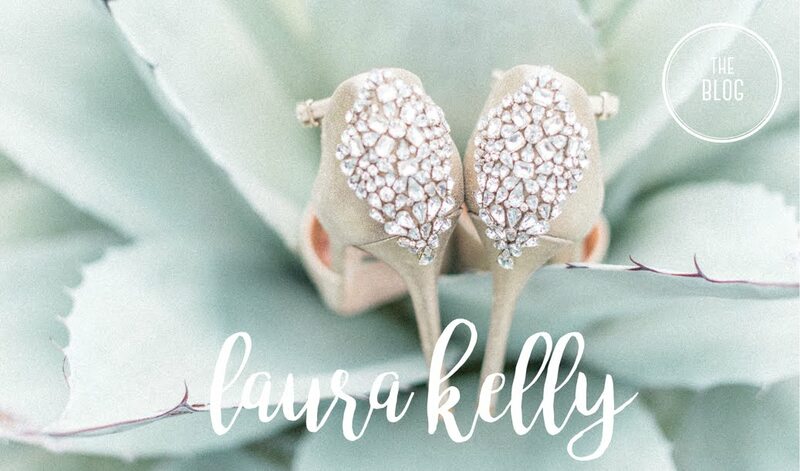 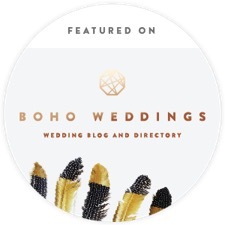 I knew these two would put a little spin on the typical destination wedding decor, and I wouldn't have been surprised if Louisa had chosen a black wedding dress because that's totally her style! 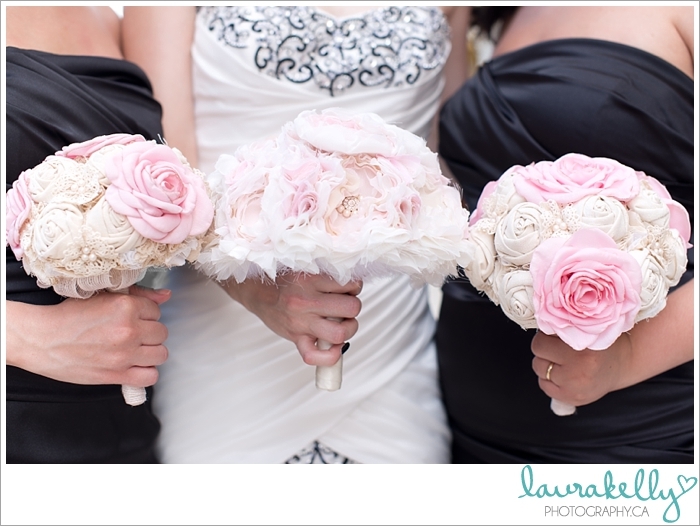 the soft and pretty pink fabric bouquets! 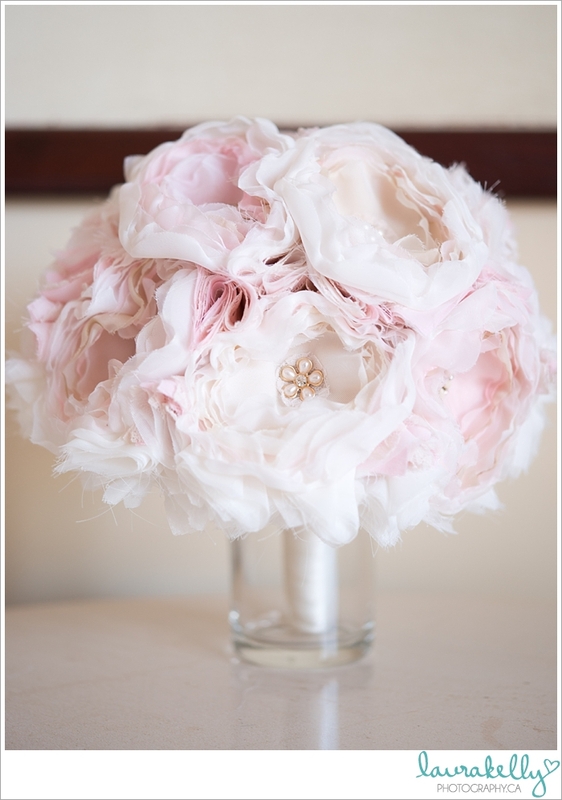 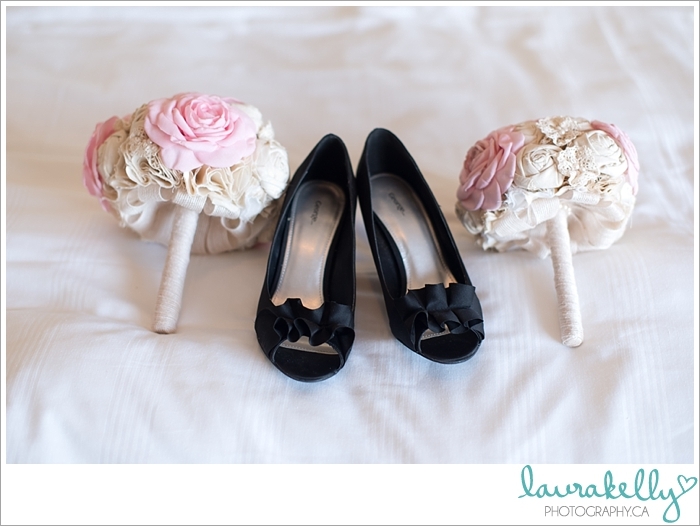 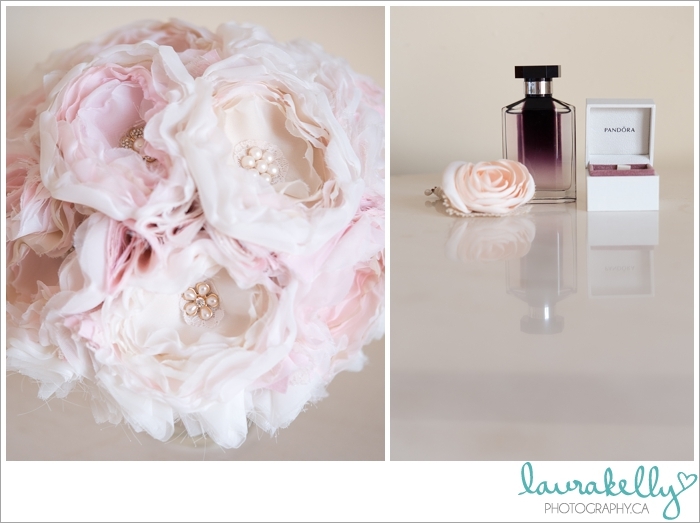 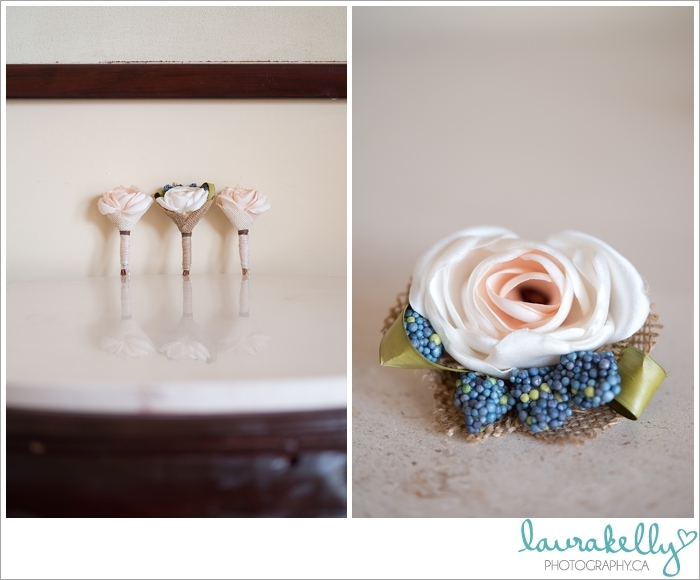 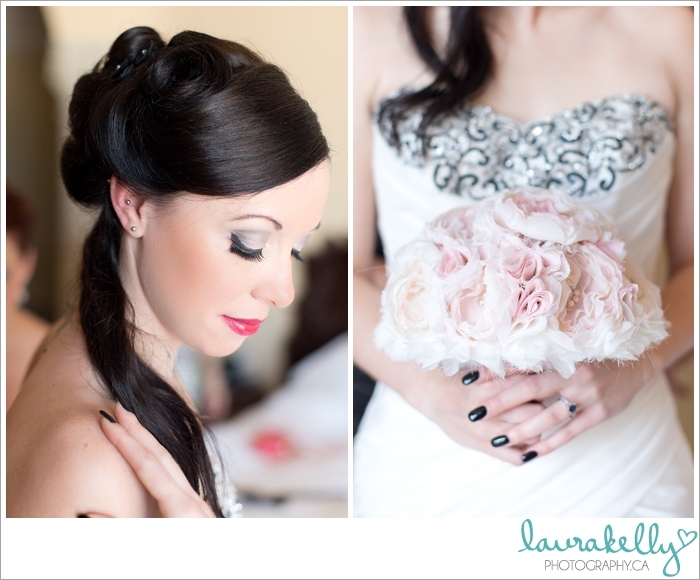 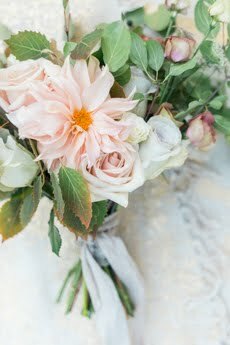 And you KNOW I'm obsessed with this bouquet! 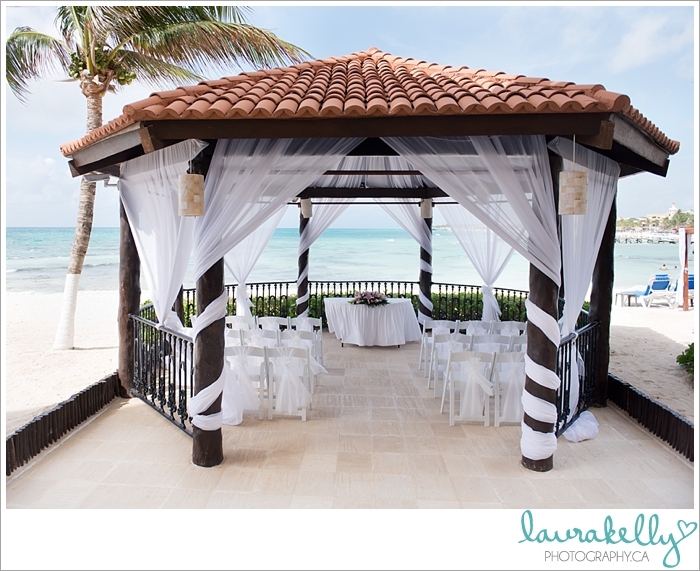 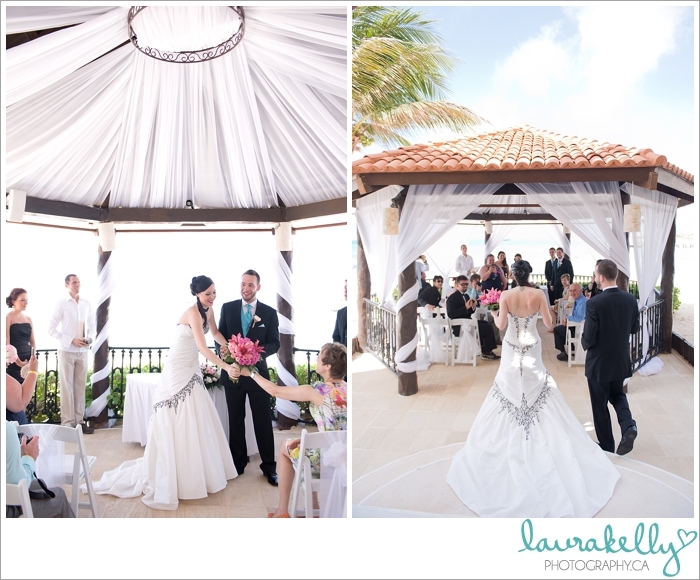 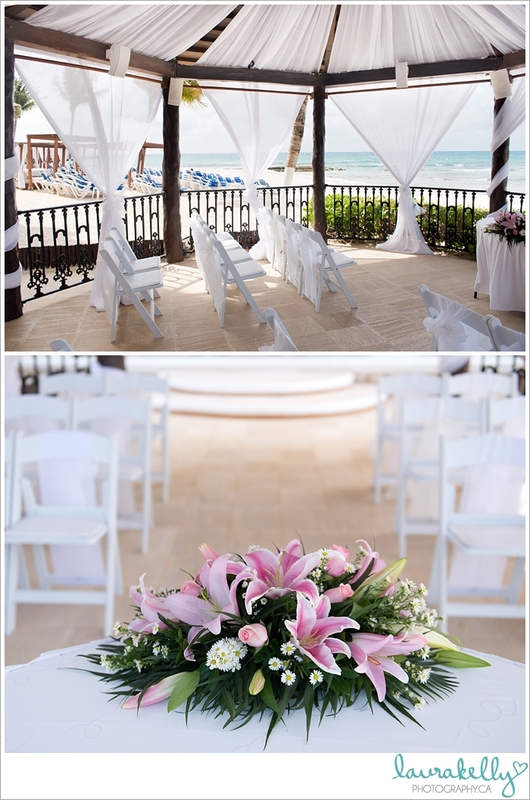 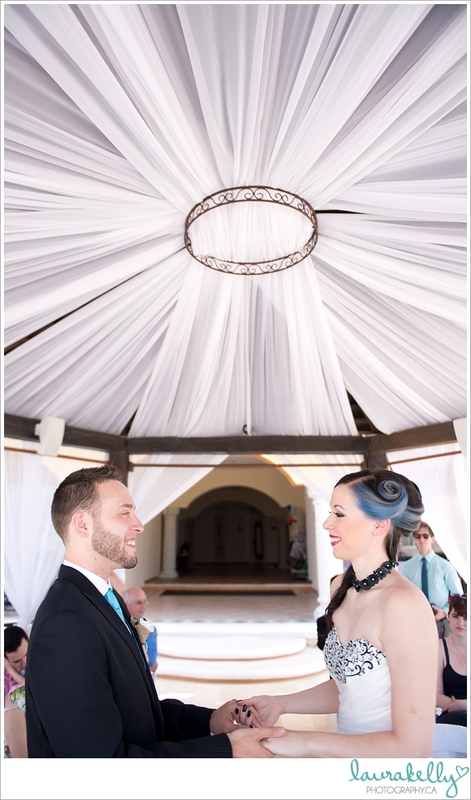 The ceremony took place inside this amazing beach-front gazebo. 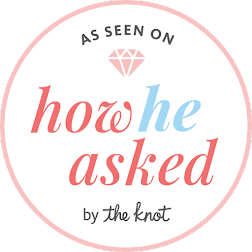 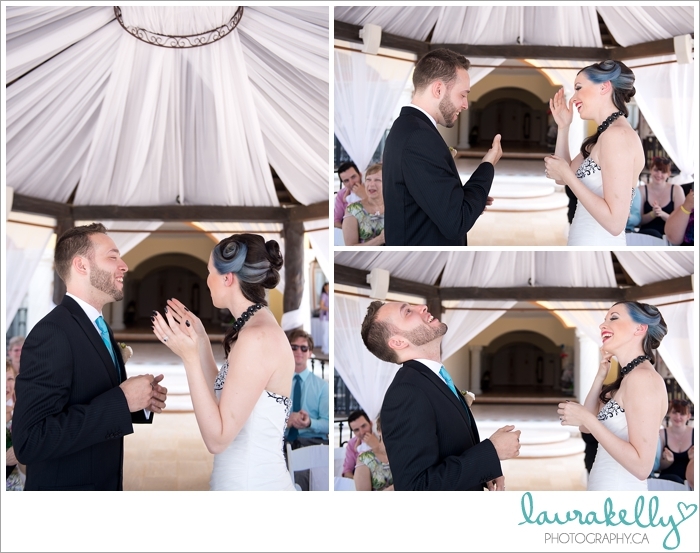 We couldn't have asked for a more perfect day! 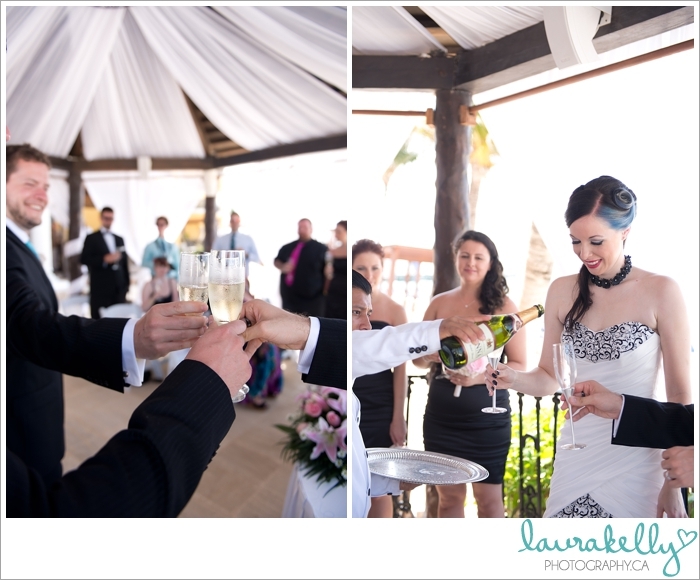 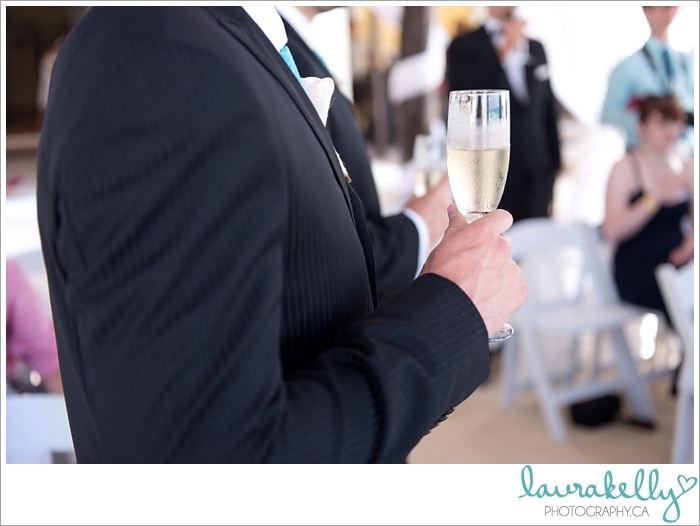 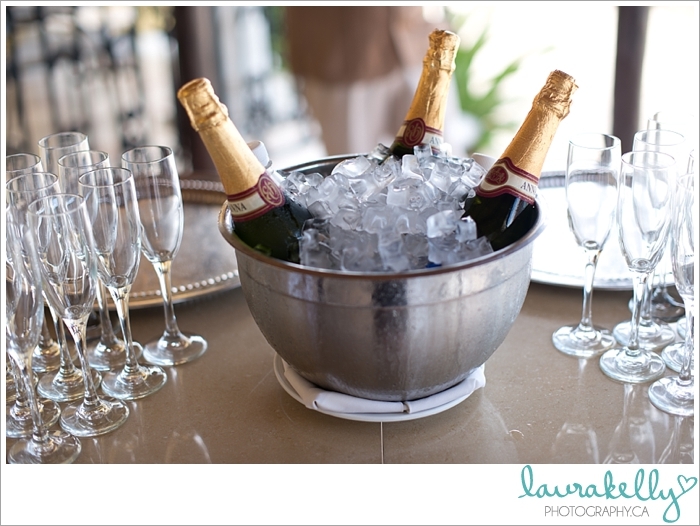 A champagne toast to celebrate the newlyweds!! 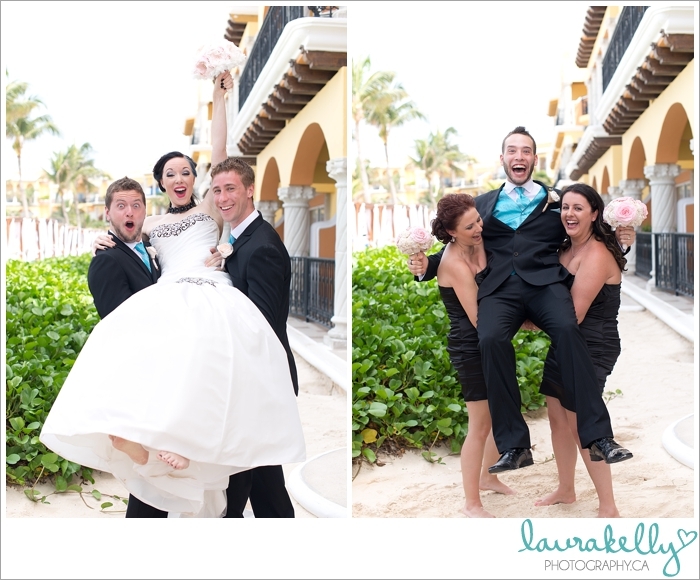 Did I mention the guests were a pretty good time?! 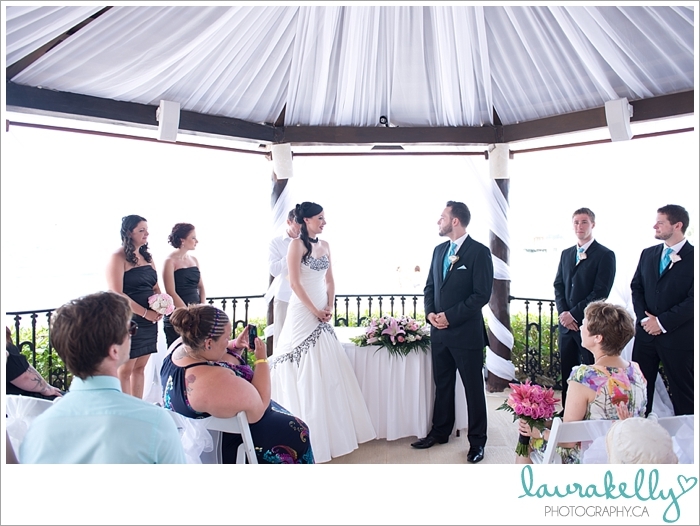 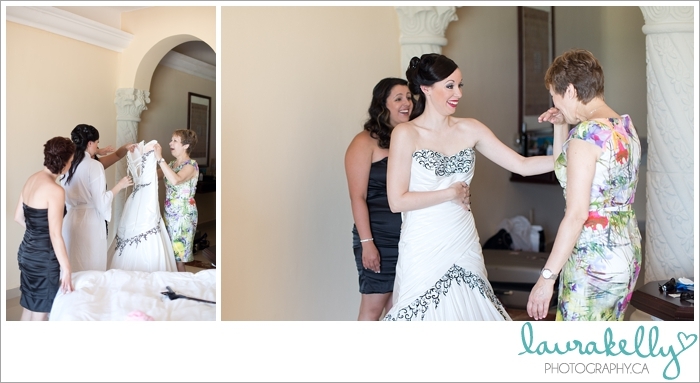 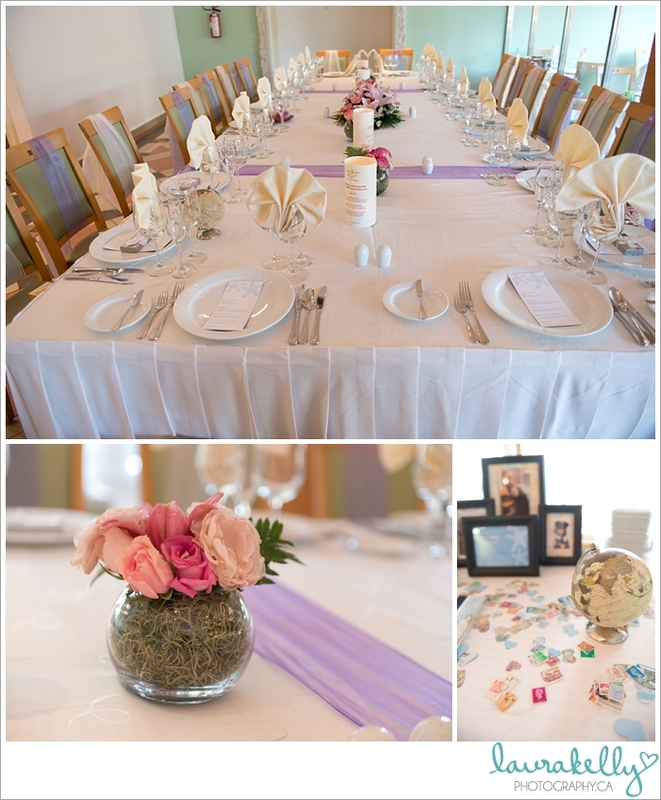 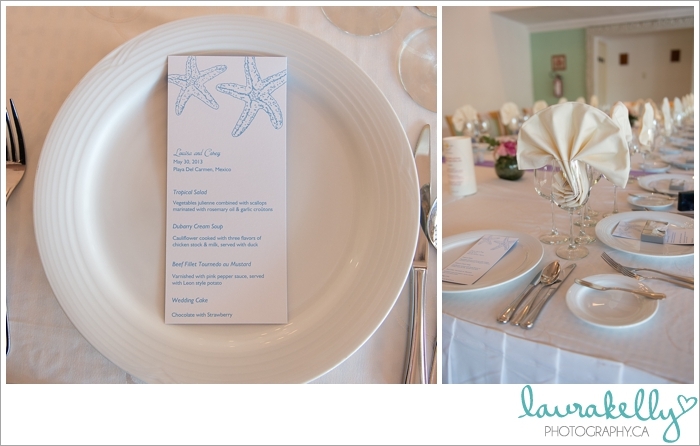 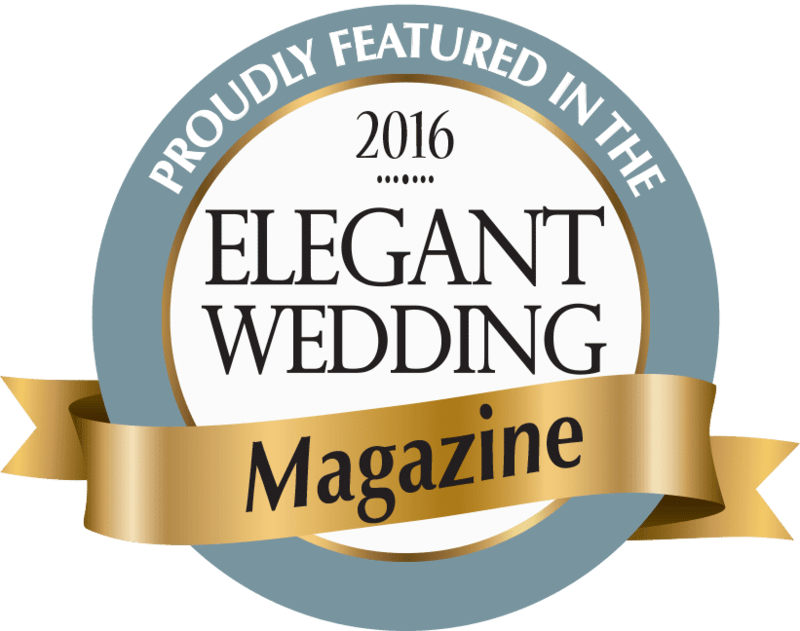 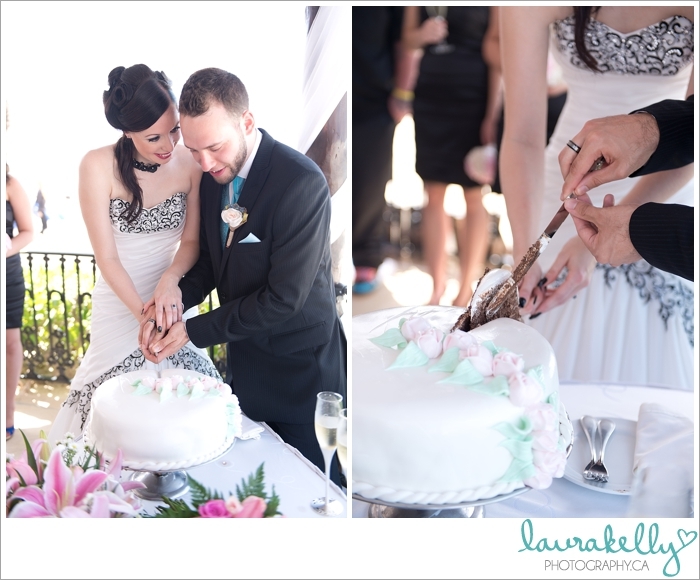 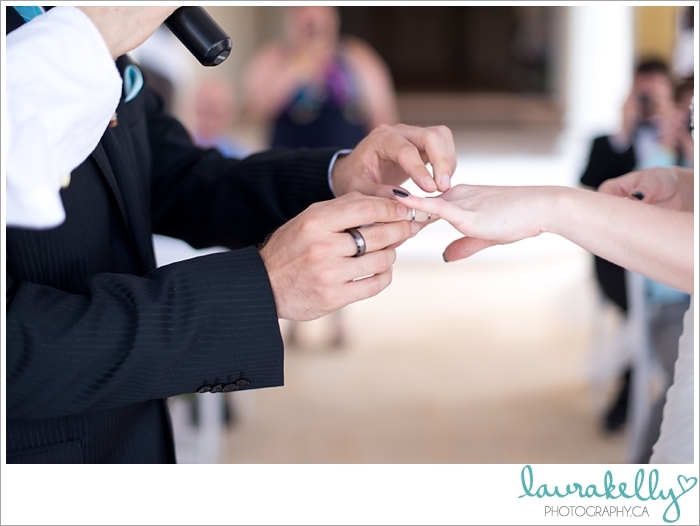 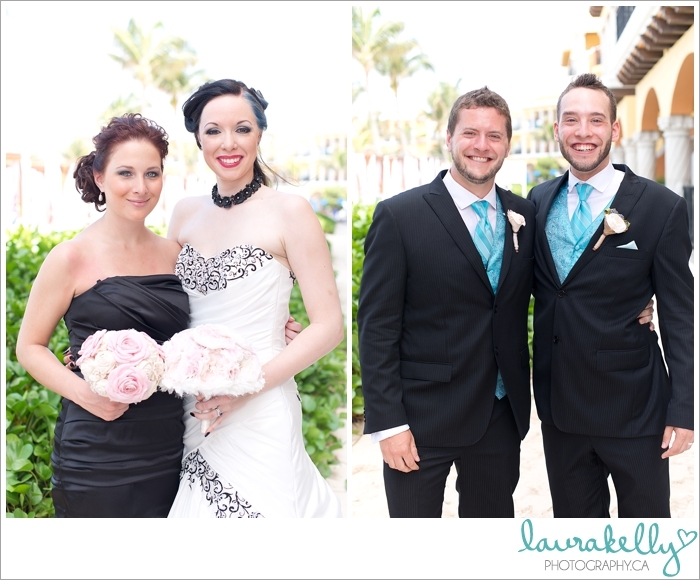 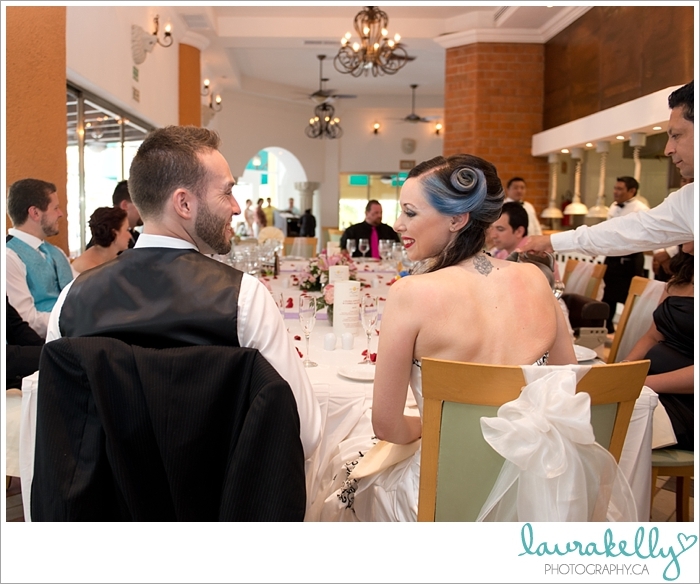 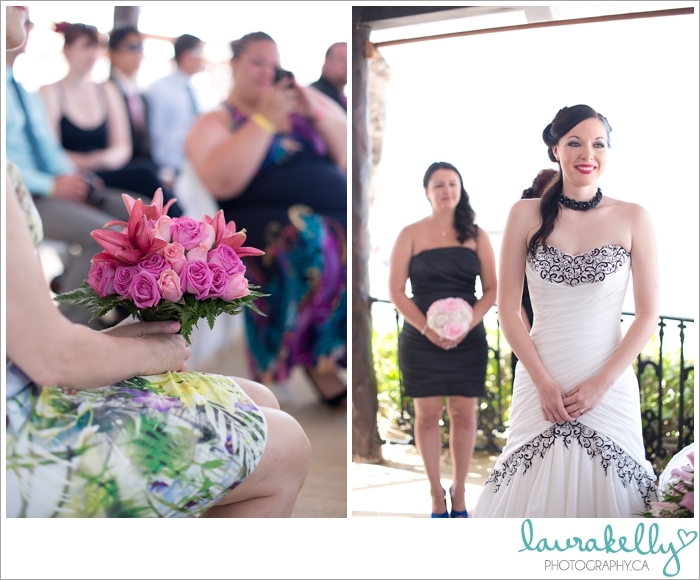 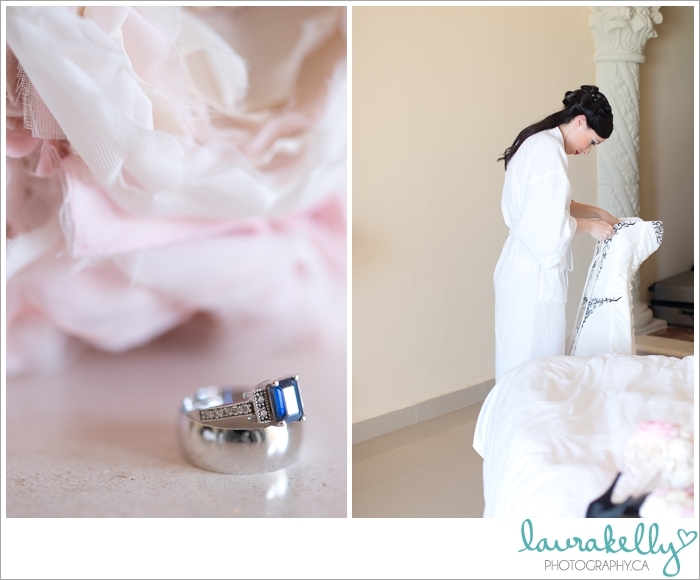 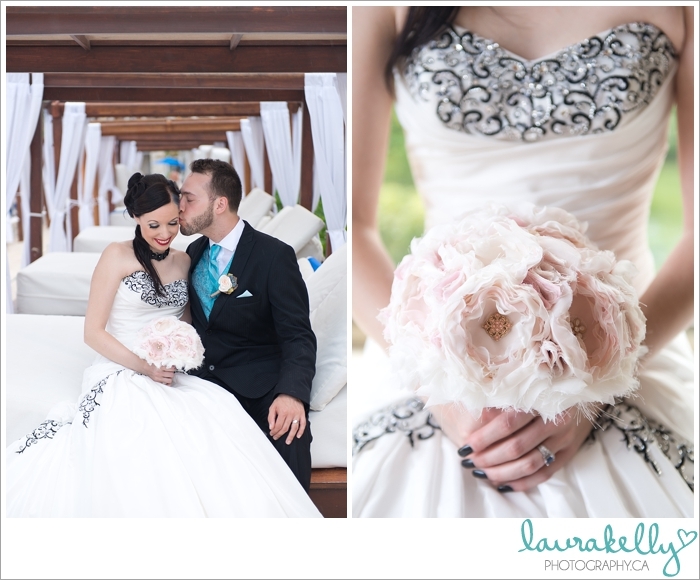 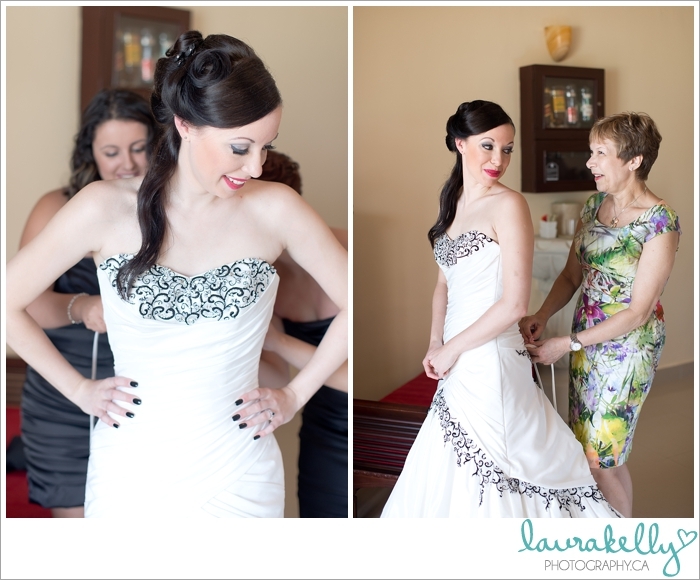 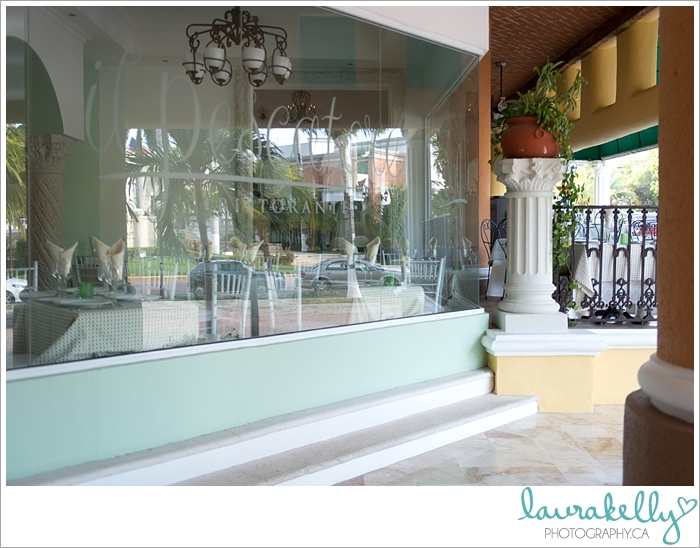 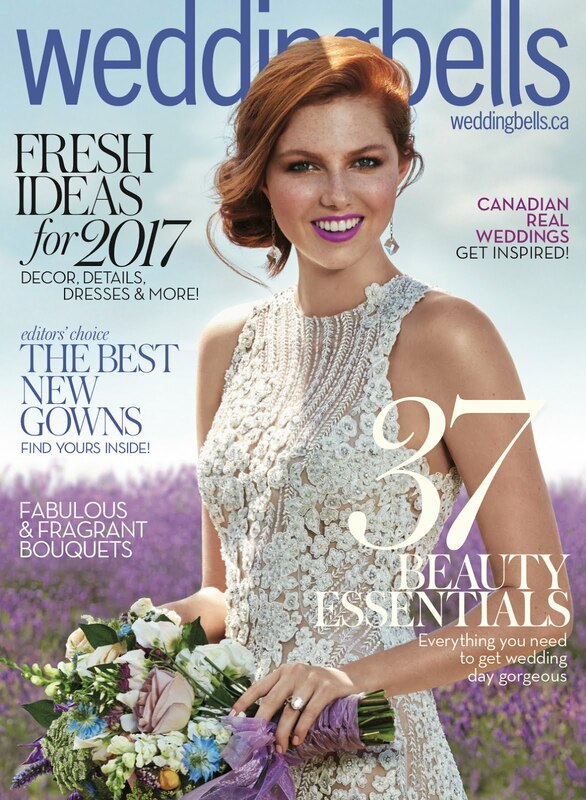 Louisa and Corey chose the Italian restaurant on the resort for their reception.